Do you have questions about your case or the legal process? Browse below and see if we can answer some of the most commonly asked questions. Knowledge is power and we want to make sure that our clients feel completely secure and confident. Of course, this list is only a small starter pack to the many questions you will have initially. We are more than happy to setup a complimentary consultation and help guide you in the right direction of recovery and wellness. Rest assured that throughout your case proceedings we will be in constant contact with you each step of the way. Should you have any questions or concerns, feel free to call us, we’re always here for you. 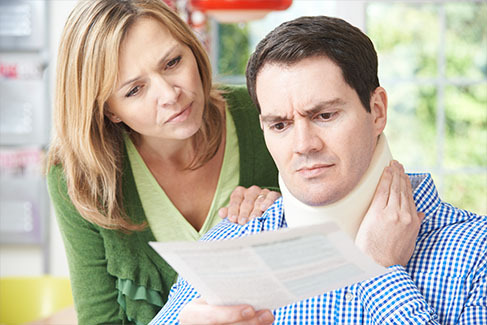 What to do after being injured in a car accident in Nassau County? What should I know about the no-fault application? What’s the first thing I should do after being involved in a car accident? What if I’m involved in an accident and the other party has no insurance? What is the first thing people should do after a car accident in Long Island? What if my vehicle is totaled in a car accident in NY? What documents need to be filled out after an auto accident? What does a no-fault insurance policy cover? What are the different types of insurance coverage in Nassau County? How does reimbursement work with insurance claims? What’s important to know about shoulder injuries in an auto accident? What should I know about neck or back injuries sustained in a car accident? What are incidental benefits under a no-fault policy? How does my general practitioner help with my auto accident case? How does investigation help with my auto accident case? How can a chiropractor help with my auto accident case in Nassau County? Can I sue the other driver if I was injured in an accident? How long does it take to recover damages from an auto accident? Can I collect more than my insurance policy coverage in New York? What’s important to know about auto accidents involving drunk drivers? What should I know if I was hit by an uninsured driver? What type of doctor should I see after being seriously injured? Do I have to travel to your office to file a claim ? What is loss of wages? What’s important to know about CT scans? What does a spine specialist do when I’m seriously injured? How is the attorney’s fee structured? How does the personal injury attorney get paid in New York? How do orthopedic specialists help with serious injury cases? How do I know if I have a basis for a serious injury claim? How does hand numbness relate to a neck injury? What’s important to know if I was injured as a passenger on a bus? What happens when a motorcycle accident occurs in New York? What happens if I slip and fall due to weather conditions? What’s important to know if I was injured due to faulty steps in New York? What happens if I trip and fall on someone else’s property? What happens if I trip and fall on commercial property? Can I sue my landlord if my ceiling collapses? What’s Important To Know About Nursing Home Injuries in Nassau County? What are Bedsores in Suffolk County? Can Someone Other Than The Dog Owner Be Responsible For a Dog Bite in New York? What Should I Do After Being Bit By A Dog in Suffolk County?